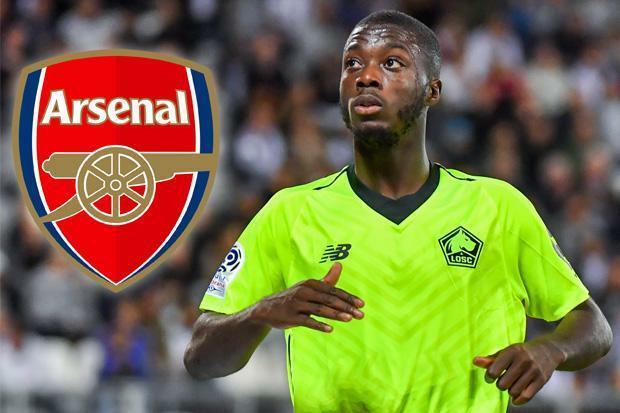 Arsenal will have to break their transfer record to sign Nicolas Pepe after Lille slapped an €80million (£72m) price tag on the prolific winger. The Gunners have long been linked with a move for the Ivory Coast international, who has scored 12 goals and laid on five assists in Ligue 1 this season – only PSG star Kylian Mbappe has had a hand in more goals. Although a transfer fee of around £40m had been mooted, Lille chief Luis Campos insists it could take closer to twice that figure. But Campos’ valuation suggests the club will do everything possible to retain a player whose stellar performances have guided Lille to second place in the Ligue 1 table. Unai Emery is believed to be a big fan of Pepe, having played against him when in charge of PSG, while he is in the market for attacking reinforcements following Danny Welbeck’s season-ending injury. Be the first to comment on "Breaking: Lille agree €80m swoop for Arsenal target Pepe – Confirm"